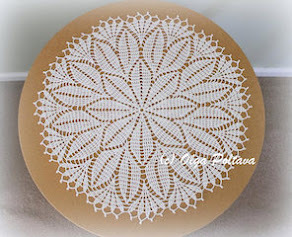 I am trying my hand at creating filet crochet patterns. 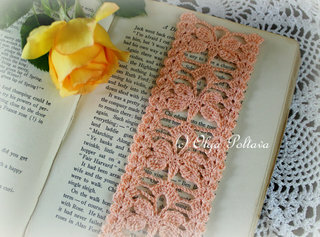 I thought I should start with something as simple as a bookmark. I made the chart using Microsoft Excel. It was quite easy. And I set to work. I used size ten cotton thread and Boye size 7 steel hook. Usually, with size ten thread I use size ten hook, which produce tight stitches. 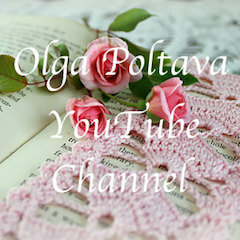 I like crocheting tightly, but this time I wanted to try looser stitches. As a result, my bookmark came out much bigger than I expected. It measures eight by three inches. In this step we crochet Row 4. Probably the trickiest line here is “sc in space between next 2nd and 3rd dc (the space between two shells)”, look carefully at the picture below for visual help. The picture below shows instructions from * to second * worked one time. Worked four times. We need to work these instructions the total of 12 times. After we worked the instructions from * to second * 12 times, the row is not finished yet. ch 3, sc in space between next 2nd and 3rd dc (the space between two shells), ch 3, skip next 2 dc, dc in next 2 dc. Ch 2, turn. The Row 4 is complete! And we can see our overall lacy pattern taking its form. I will post Step 4 next week. Do you decorate your home for St Patrick’s Day? I usually don’t, but this year will be different. My oldest son is four year olds now, and he really enjoys all the holidays and festivities. But being a frugal mom, I’m not rushing to the store to buy St Patrick’s Day decorations. Instead, we will make them ourselves. Cutting shamrock and clover leaves out of paper is easy and fun for kids, and doesn’t cost anything. In my stash of yarns and threads, I found a bit of green cotton thread, just enough for a small doily. 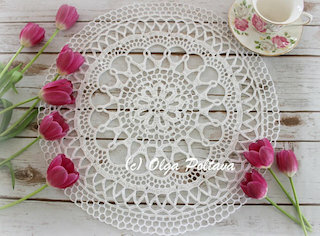 And here is what I produced – a perfect small doily for St Patrick’s Day! 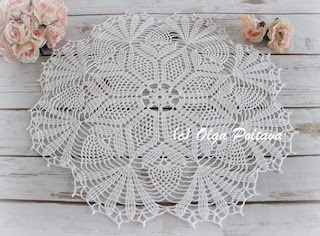 The doily pattern is called Four Leaf Clover and was designed by Patrizia Pisani. Click here for the pattern. I had a bit of trouble with those four overlapping circles and had to try a few times. 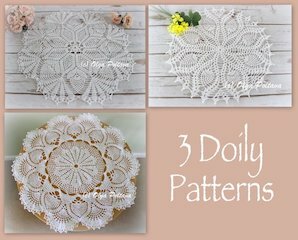 Also, in the pattern it says that single crochets must be used to make those rings, but on the picture provided it looks like double crochets were used. I tried single crochets, but it didn’t look anything close to the picture. 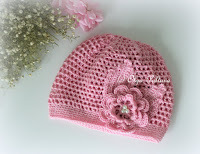 But when I used double crochets instead, it looked identical to the picture. Perhaps, it was a typo in the pattern. and Did You Make It? In this step we crochet Row 2 and Row 3 of the pattern. The picture below shows the instructions from * to second * worked 2 times. We need to work them a total of 12 times. After we worked the instructions from * to second * 12 times, what we have left of the previous row is only one dc (actually, it’s a chain, but we are going to refer to turning chains as last dc). dc in last dc. Ch 2, turn. When you stretch your work on a surface, you should see 13 pattern repeats. The picture below shows 4 pattern repeats. We can now work on our next row, which is Row 3. This is going to be easy because Row 3 is exactly the same as Row 2. Once again when you finish Row 3 and stretch your work on a surface, you should see 13 pattern repeats. The picture below shows 5 pattern repeats. We can now see how the pattern begins to form. I’ll be happy to answer your questions or give further explanations. Let me know in the comments below if you need help with Row 2 and Row 3. 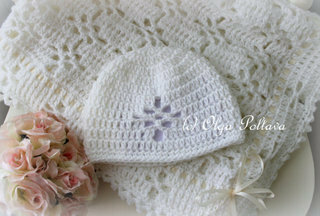 This newborn beanie measures 13 inches in circumference and 5 inches in height. I used Snuggly Wuggly yarn by Loops & Threads (my leftover yarn from Lacy Baby Blanket) and US size E/4 (3.50 MM) hook. For this pattern, gauge is very important. The first three rounds measure 3.5 inches in diameter. 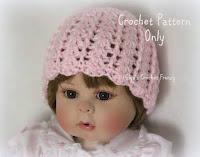 If your gauge will be slightly bigger, you will get a bigger size beanie (size 0 – 3 months). However, if your gauge is smaller, I’m afraid your beanie will be too small. (dc, ch 1, dc) worked all in the same space or stitch. into space between two V-stitches of the previous round (that is, into space prior to next V-stitch). Ch 5, join with sl st into ring. Round 1: Ch 4, *dc in ring, ch 1* 11 times. Join with sl st into 3rd ch of beginning ch-4. Round 4: Sl st into next ch-1 space, ch 4, dc in same ch-1 space, V-st into each V-st around. Join with sl st into 3rd ch of beginning ch-4. Rounds 5 – 11 same as Round 4. Round 12: Ch 1, *sc in next V-st, sc in next space between two V-st* around. Join with sl st into beginning ch-1. I wasn’t sure I like this heart when I was crocheting it. I used thick cotton yarn and the stitches were coming out uneven and not very pretty. But once I added the trim, I loved the heart! There is something charming about its rustic look. You can see the pattern for this heart here. 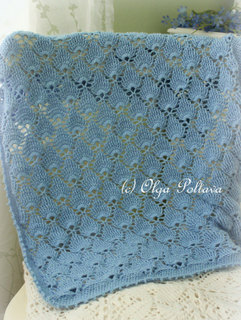 I have made a detailed tutorial for the Lacy Baby Blanket, which is the most popular item on my blog. The tutorial consists of several steps (nine to be exact) as it is too big a project to fit into one post. 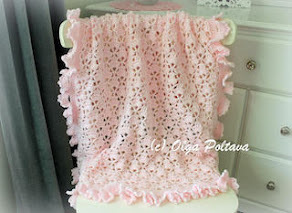 I believe even beginning crocheters can make this blanket following my tutorial (as long as you are familiar with basic crochet stitches). 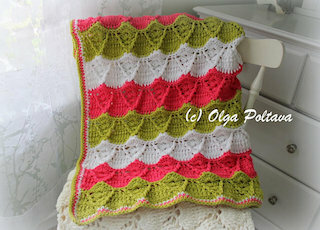 So if you’d like to make this blanket with me, print out the pattern, gather your supplies and let’s begin! 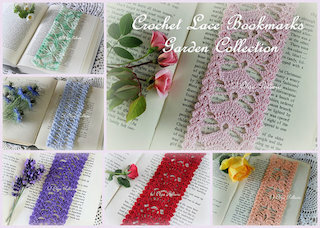 In this step we get started by making a chain and crocheting the first row of the pattern. Keep your printed-out pattern at hand and refer to it as often as you need to. We start the first row by making 3 dc in sixth ch from hook (note that the chain on the hook doesn’t count). Then we skip 4 chains and make 3 dc in the next chain. See the picture below. We need to repeat working the instructions from * to second * across. That will be 12 times in total. The picture below shows the instructions from * to second * worked two times. Once you have repeated the instructions from * to second * 3-4 times, you probably will be able to memorize them and won’t need to look at the pattern. 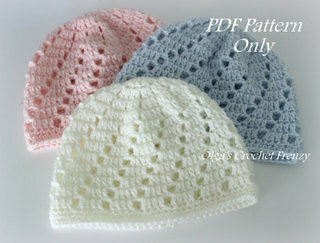 When you have crocheted these instructions 12 times, you will see that you have 3 ch left. See picture below. And make ch 2 for turning. The first row of our blanket is finished! If you stretch it on a surface, you should see 13 pattern repeats. Below, I show a picture of three pattern repeats to give you an idea of what I mean. If you have any questions, don’t hesitate to ask in the comments below. I'll post Step 2 next week. I can’t believe that Valentine’s Day is just around the corner! This year I don’t have much time to experiment and come up with my own Valentine’s Day patterns, so instead I searched the web to see what free patterns I could find. 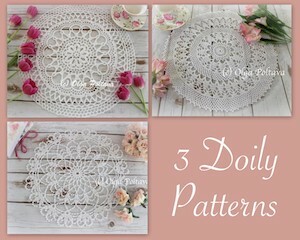 The doily pattern is called Hearts Desire and is from Red Heart. The pattern for the heart (symbol chart only) is from Tesourinha blog. And finally tutorial for the tiny heart is from PinkFluffyWarrior blog. 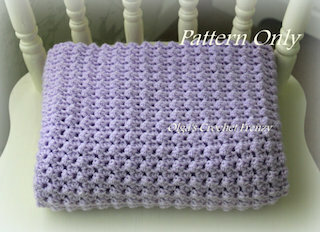 The tutorial is written using UK crochet terms; nevertheless, I managed to follow the pattern. 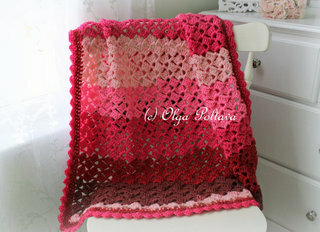 What are you crocheting for Valentine's Day?